If you are ever tempted to sort out the relative distinctiveness of each species within a particular genus things can get very complicated very quickly indeed. This certainly happens within the genus Primula, with Narcissus, and even within the genus Rhododendron, and recently I've discovered things seem to be much the same within the species group commonly known as the 'Dwarf Bearded Iris'. 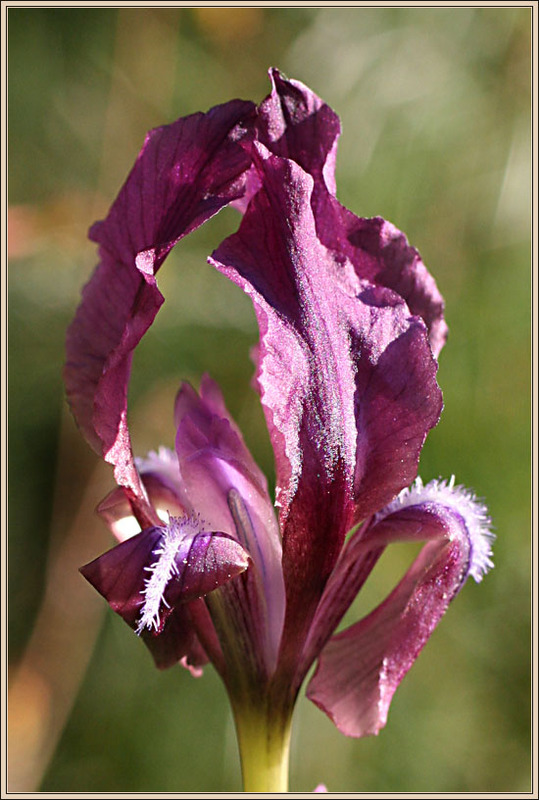 Iris suaveolens happens to be a member of this troublesome group. It is a diminutive little plant which only manages to attain a height of somewhere between 8 and 15 centimeters but nevertheless possesses a disproportionately large flower which rises out of an unruly tangle of small curved leaves. It lives on the stony hillsides of the Eastern Mediterranean, notably in North West Turkey. 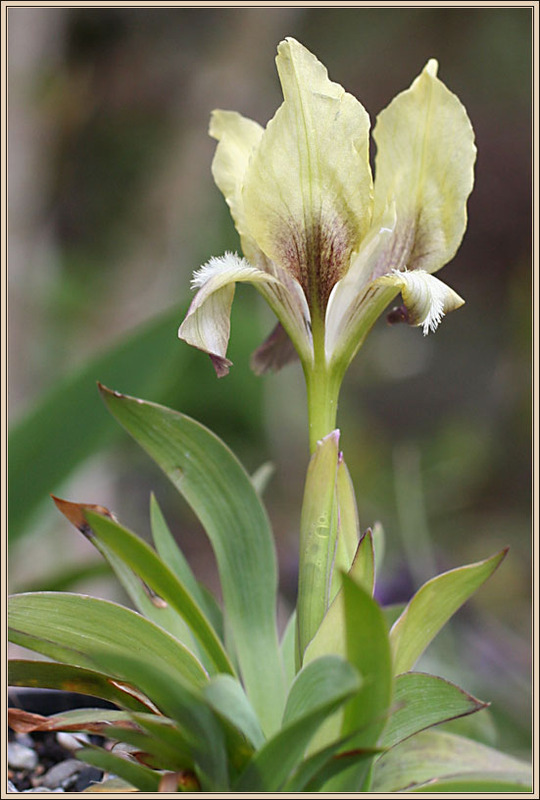 In common with a number of its close relatives such I.attica, I.reichenbachii, and Iris pumila it can produce flowers in various shades of yellow or purple or even in combinations of both colours, and this complete spectrum may be present in a single population. But it gets more complex than this. For a start, natural hybridisation may occur wherever there is an overlap in species distribution involving I.suaveolens. Furthermore the literature provides a swarm of synonyms to wrestle with (until recently I.suaveolens was known as I.mellita). It seems to me that the only surefire character available to separate my stuff from the rest of the pack is the presence, or not of 'keeeled bracts beneath the flower' I checked my plants. They have keeled bracts. But I remain uneasy. Maybe, just for peace of mind, it would be better to purchase something derived from I.suaveolens, something which bears a rock solid name. 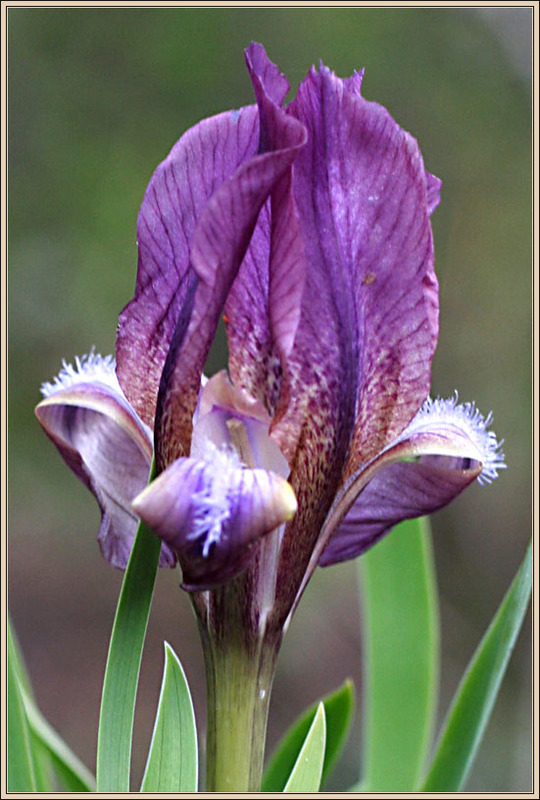 ''Buddha Song', 'Lavender Rain', or 'Misty Plum' are all available in the trade. But then again, there is a particular fragile wild beauty about these little plants, whichever name applies.